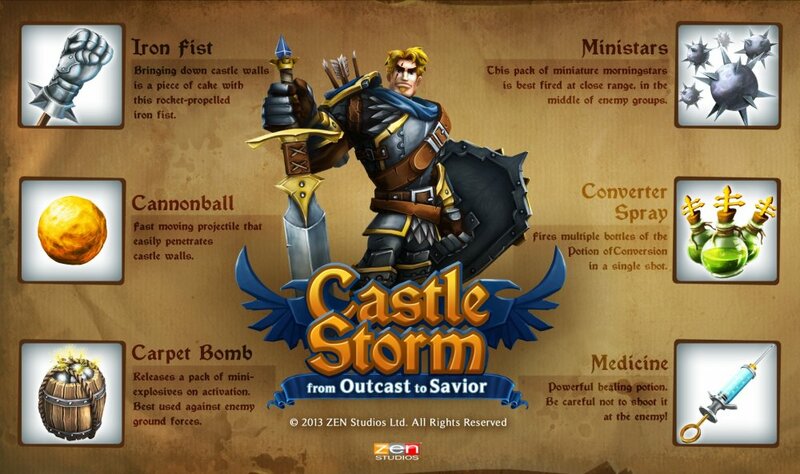 CastleStorm on XBLA is an addictive tower attack game by Zen Studios which may have had dubious co-op elements, but is a great single player experience. The latest From Outcast to Savior DLC aims to improve both the single and co-op elements of the game with new weapons, characters and levels. This DLC is available for 240 MSPs as of the 31st July. It contains a new Royal Guard faction who bring with them a series of different weapons to fire on enemy troops and strongholds. The weapons are a mix of the new and advances on projectiles already seen in the game - I for one cannot wait to convert swaths of enemy troops to my side and fling some rockets.